820 Female Hose Thread Tee has 820 compression threads on both ends, with a female hose thread swivel in the middle. 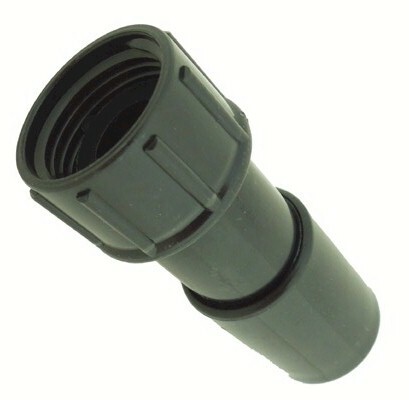 Connect 820 poly tubing, and or 3/4" soaker hose with a female hose thread in the center to screw on to male threads. Excellent for make a irrigation system that you might want to easily take apart for winter storage.